The talented sophomore hits two home runs and earns her fourth win of the tournament as the Mustangs win their first softball title in 25 years. LACEY — When Kiki Milloy woke up in her hotel room on Saturday, she turned toward the two teammates she was rooming with and mentioned a goal — the ultimate state-championship result that every team hopes for. And she was right. 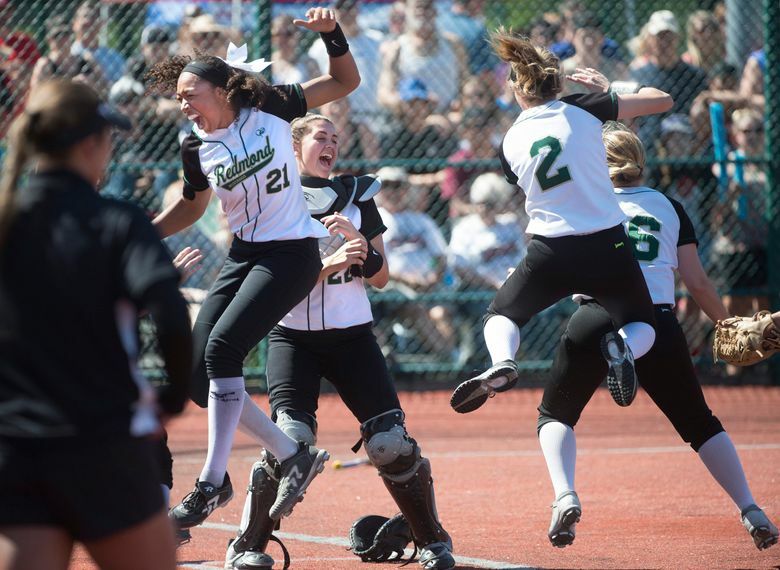 That afternoon in the Class 3A state softball final against Yelm (28-1), Milloy led the Mustangs (25-4) to the state title for the first time in 25 years. In Redmond’s 9-5 win, Milloy pitched the entire game, just as she’s done in the other three tournament matchups. She also scored five runs at the Regional Athletic Complex. 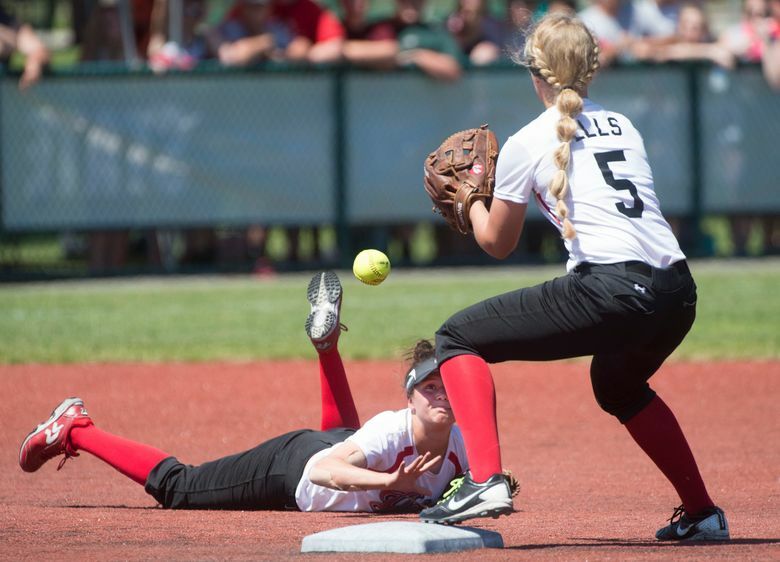 Milloy, daughter of former Washington Husky and Seattle Seahawk safety Lawyer Milloy, hit at least one home run in each of Redmond’s four tournament games, and had two in the final — one on the second pitch of the game and one in the final inning. 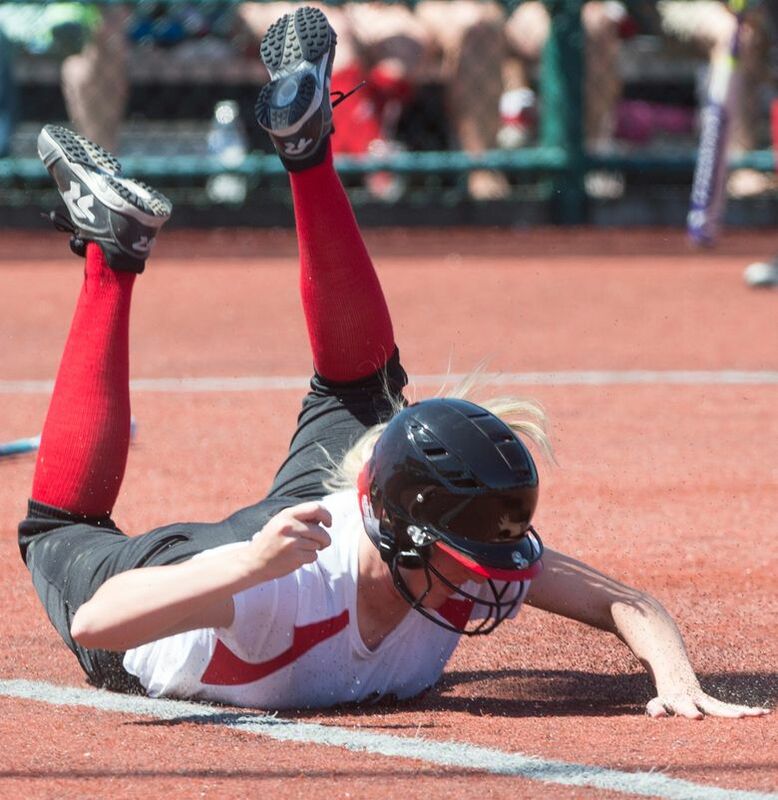 After the first-inning homer, Yelm’s pitchers walked Milloy in her next three at-bats. Each time, Milloy managed to score thanks to the teammates who batted behind her. In 2016, Redmond lost in the opening round of the Class 4A state tournament. This year, the Mustangs sailed into the state final after giving up only two runs in the previous three games combined. The Redmond team is young, as over half of the players on the varsity roster are freshmen and sophomores. Milloy said the goal for next year will be the same — to play at state and hopefully win the title. And if that’s the case, the wait for another championship won’t be nearly as long as this time. • In the third-place game, Lake Washington defeated Bonney Lake 4-1. Emily Giambalvo: egiambalvo@seattletimes.com or 206-464-2076.